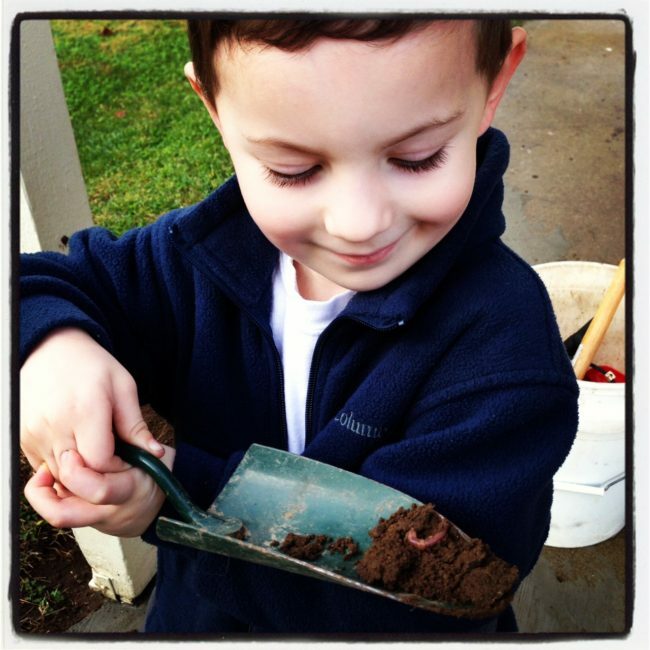 Evan was really proud of this worm that he dug up the other day. He spent a lot of time trying to decide what he would do with it, and smashing its guts out was definitely on the short list. Evan is growing and changing so much. Every day he becomes less and less like that baby I snuggled in my arms, and more and more like a small man. He’ll be a man someday. Weird. He loves it when we refer to him as a big boy. In fact, he’s been talking about an incident that happened at his birthday party in August this week. According to my mom (I guess I had never noticed), he’s been rehashing this particular scene frequently since that day. One of his cousins exacted the most terrible insult on him, apparently. While jumping on a trampoline together, his cousin called him a BABY. Of course, I reassure him by telling him that he’s definitely a BIG BOY! He is potty trained now, he speaks to us with the vocabulary of an adult, and holy wow, he’s getting big physically too. He’s big, and smart — sweet and ornery. So ornery. I love this little boy (I mean big boy), and I can’t wait to see what kind of man he becomes. Do your kids hate it when someone calls them a baby? My 2 year old Garrett is incredibly independant. He must do everyting himself. “! did it”, he exclaims after each feat. He can not catch me washing clothes, cause he MUST move his stool and come help. I LOVE your parenting blog! I can relate to so much of it! He’s such a cute little boy! My grandson is 3 and has developed so much within the past few months. Not a baby anymore! Definitely. My 3 (nearly 4) year old recently rediscovered a toy she had as a baby, and one of the things it says is “hi, baby!” She’s not too happy about that part, although she loves the music. Aww, he is a big boy!! It’s fun watching him grow up on your blog!! I can remember well that magical time when my girls became” little” big girls and I had to change the way I addressed them. For my girls, they would not allow anybody other than me and Daddy to call them nicknames. You used their first name only dear Aunt, Uncle, Cousin, Grandma or you were getting the stink eye! At my son’s 4th Birthday Party, my friend’s 3-yo girl was trying to talk to my son and called him a baby. She wasn’t being mean, just thought he was younger than her for some reason. My son proceeded to yell for me and exclaimed, “That girl called me a Baby, I am not a baby. I am Caleb Micheal Sch…… and I am 4 years old!” He still talks about “that girl” since his birthday in August. My friend and I still chuckle over that scenario. My son just turned 13 and a couple of weeks ago I told him it was time for bed but he was taking so long because he was kinda goofing off. I was going to make sure he got into bed and was covered with lights out (like I still usually do) but I was so sleepy myself by this point that I told him to put his own self to bed because he was goofing around and he was like okayyyy I’m not a baby I can put my own self to bed…..but even at 13 he is still my BABY. What a sweet little thing. It is strange to think that they too remember things like that and carry memories, good or bad with them. I sometimes forget my little ones are capable of that. But they are smart! My youngest is like that. I call him baby (out of love) because he is my youngest and even though he will be 4 in March, I still see him as my baby! And often (but not every time) he will tell me, I not a baby, I a big boy! And I assure him that he is. But he will (as well as his older brother and sister) be my baby love. 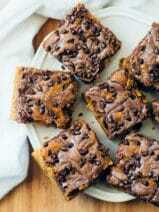 :) Sweet things arent they! They will always be our babies..but ya, we can’t tell them that!! Oh yes. My daughter is 3-1/2 and she gets total attitude – “I’m NOT a baby, I’m a big girl” or “I’m NOT a baby, I’m Veronica!” I have to catch her on a really good day to get to call her my baby.